Krillos wrote: Not sure what I feel about the Metallikat Kids, though. I mean, how are they created? I doubt neither Mac and Molly has the brain capacity to create A.I. and who in their right mind would build robotic kids for crooked parents? Certainly not Professor Hackle, that's for sure. And if they're not robotic but organic, then it is a rather odd thing to call them "Metallikat Kids". Well, unless they're cyborgs. Pokygirl2001 wrote: My assumption about 'metallikat kids' was that Mac and Molly had children while they were still, uh, not tin cans and he was just talking about the characters as 'the Metallikat's kids'. I thought perhaps they meant Mac and Molly are going to have more of a 'gang' because they've got their grown kids behind them. I would think they were old enough to have teenagers at least when they were escaping from AlKatraz. T-Bone: And I thought the Metallikats were bad enough when there was just two of them - now they've got kids? Krillos wrote: Hmm, interesting that you brought up the beagle boys, cause I just came up another theory. Though they're called the "Metallikat kids", what if they're technically not Mac and Molly's kids? Cougar.... Is he gonna be the same Dr. Cougar that was mentioned in Swat Kats Unplugged? Just watched that episode againand the name popped up. FelixKayne wrote: Cougar.... Is he gonna be the same Dr. Cougar that was mentioned in Swat Kats Unplugged? Just watched that episode againand the name popped up. I don't think so. According to Tremblay, Couger is a new character who was a test pilot for the Enforcers. He went missing after a freak accident a long time ago, so it is doubtful that he and this Dr Cougar are one and the same. Nice Radical 25 Years Banner! Krillos wrote: I don't think so. According to Tremblay, Couger is a new character who was a test pilot for the Enforcers. He went missing after a freak accident a long time ago, so it is doubtful that he and this Dr Cougar are one and the same. Considering we have both an Enforcer and a prison guard named Talon (in Chaos in Crystal), it's possible some names are just common in Megakat City. 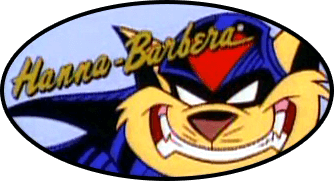 Also, in the case of the Puma-Dyne scientist mentioned in SWAT Kats Unplugged, it's obvious Cougar is their last name; with this new character, Cougar would be their first name. As to who might build the Metallibrats, I imagine that it'd either be Greenbox (despite the bad blood between him and Molly over what Zed did to Mac), assuming he's still crazy-go-nuts at this point, or perhaps the Metallikats abduct Hackle and force him to do it. Another possibility is that the writers invent a brand new evil robotics expert who gets recruited by the Metallikats. Heck, perhaps even Dr. Viper could do it; we saw in Katastrophe that despite being a biochemist, he knows his way around building robots (although it's possible he was just following Dark Kat's instructions). There's a lot of possibilities.